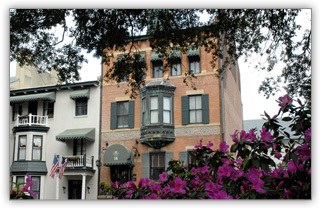 Our 19-guestroom Savannah bed and breakfast is located in the center of the Savannah Historic District. 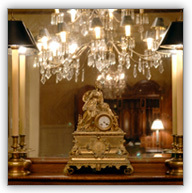 Consequently our guests enjoy luxurious accommodations in one of the most historic locations in the south. Read why Southern Living Magazine Named us the Best Inn in the South. Seems like they like us. Above all, learn about our well-earned reputation for quality and service. Also, explore the wide variety of Savannah travel planning resources found throughout or site. Better yet, give us a call at (800) 647-3708 and a member of our concierge team will help you customize all of the details of your stay. First of all our Savannah Bed and Breakfast guests appreciate our attention to detail. In contrast to other Savannah bed and breakfasts, ours feels more like a boutique hotel. Furthermore we offer a wide variety of rooms at The Foley House Inn. Each is uniquely decorated and many feature fireplaces or private balcony. Most noteworthy, each room includes complimentary cooked-to-order breakfast. Likewise afternoon sweets and tea, as well as evening wine and hors d’oeuvres. Therefore no one will lose weight here. Comfy cotton robes are available and HBO is complimentary in all rooms so you will feel at home. Finally, our concierge services will help you plan your Savannah vacation. Personalized service is the hallmark of the Foley House Inn experience. Join us! First of all, begin the day with our full, cooked to order breakfast in our parlor or our lovely garden. You can let us help you plan your day in Savannah. You wont need your car because you can walk to all attractions and similarly restaurants. After a satisfying day of sightseeing and shopping, maybe you’ll choose to linger in the parlor to enjoy our sweets and tea. Most of all, be sure to join us prior to your dinner for a glass of wine and a small bite to eat. likewise you can look over our collection of local restaurant menus. Consequently you can meet with other guests and talk about all of their Savannah adventures and discoveries. We function with the efficiency of a small luxury hotel. In contrast we possess the charm and personal service of a Savannah bed and breakfast. Hence you can expect an exceptional stay due to our staff. Especially relevant, The Foley House Inn is an exceptional value when visiting Savannah, Georgia. Our location is perfect for a weekend getaway, honeymoon or most noteworthy, an extended exploration of the Low Country region. Consequently you are in for a memorable experience at this Savannah Bed and Breakfast. View our Savannah Newsletter Get The Recipes!